David is a private investor in the oil and gas industry. 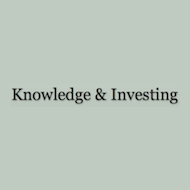 His blog is Knowledge and Investing. Below, David goes through the highlights of the report to the President on the Deepwater Horizon disaster, explaining the commission’s findings of what went wrong, and detailing some specific differences between BP and some other oil companies that may have led to a deficient safety culture.